Stay up to date with the latest news from our commercial kitchen specialists, as well as tips and tricks for your own commercial kitchen. A monster fatberg made of solid fat, wet wipes and grease, that was found in Devon earlier this year has finally been broken down, after eight weeks of removal efforts. 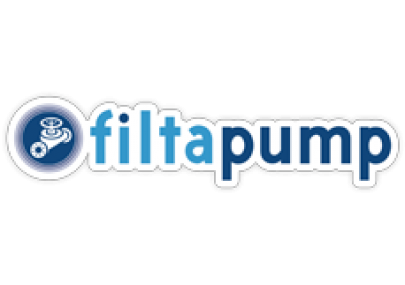 Following our acquisition of Watbio Limited earlier this year, Filta Group Holdings PLC are proud to announce the launch of FiltaDrain and FiltaPump. Refrigeration equipment such as fridges and freezers require air-tight protection from warm air. Faulty seals compromise this, but with Filta, our experts can fix any door seal. Filta's latest acquisition Watbio, one of the UK's largest grease management companies, has today taken delivery of the first 10 new vans as part of their nationwide re-branding. What does a stadium do with all its cooking oil? Opening a kitchen is a dream for any chef, but any dream needs practicalities to make it a reality. There are certain things that every commercial kitchen needs, so read on for our checklist full of top tips. 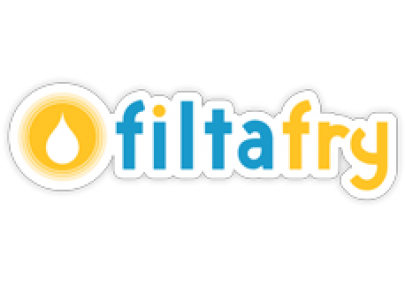 Filta Group Holdings plc (AIM: FLTA), a provider of fryer management and environmental services to commercial kitchens, has announced the acquisition of WatBio Limited for a total consideration of around £7m. What is a commercial kitchen grease trap? Commercial fridge and freezer door seals: Is it time for a replacement? Do you need a grease trap in your kitchen over Christmas? Commercial fridges such as upright refrigerator cabinets and walk-in chiller cold rooms are used intensively in commercial kitchens. Fridge door seals can break for many reasons and can be a costly issue, causing disruption in your kitchen if ignored. The Filta Group Ltd today announced the signing of an agreement to become the exclusive UK distributor for Goslyn grease recovery unit (GRU), the most effective product of its kind on the market today. Maintaining your commercial kitchen all year round can be easy with our experts’ 4 simple tips! Filta Group has over 22 years of experience providing commercial kitchen services on an international basis. There are 6 laws and regulations governing the disposal of Fats, Oils and Grease (FOG) and failing to adhere can lead to enforcement and prosecution. A refrigerator door is the one section in a fridge that will suffer the most risk of wear and tear. For commercial kitchens across the nation, it’s important to regularly check your appliances to see if they’re in good condition and performing well. Refrigerator seals play a key role in the day-to-day operation of a refrigeration unit. A split or damaged refrigerator seal can make equipment use 3x more energy, which can escalate into bigger problems, even leading to a closed kitchen. Does your commercial kitchen comply with Waste Legislation? Commercial kitchens worldwide produce Fats, Oils and Grease (FOG) during the process of food preparation. FOG in a commercial kitchen is unavoidable, potential threats caused by these substances such as blocked drains, pests and odours certainly are. Is your commercial kitchen disposing of FOGs correctly? Fats, oil and grease cause thousands of UK drain and sewer blockages every year and commercial kitchens need to take responsibility for the FOGs they throw away. Do you know why you need a FiltaSeal? We heavily rely on our refrigeration equipment to be on top of its game 365 days a year, but regular maintenance is crucial to ensure the quality of your fridge seals. In the past few weeks, we have seen a very noticeable heatwave throughout the UK, officially starting summer 2018! Hot temperatures are ideal on days off, but when you’re working it’s a different story. Quiz: Which Filta product should I get for my commercial kitchen? If you’re unsure of whether you need a new grease trap, bacteria drain dosing or a FiltaSeal we can help! Here at the Filta Group our team what to make your decision process as easy and simple for you as possible. There are approximately 6.7 million blocked drains each year in the UK, that are directly caused by FOG.The damages of FOG can completely block an entire drainage or sewer system, avoid this from happening with an effective commercial grease trap. The General Data Protection Regulation (GDPR) is set to be introduced by the EU on 25th May 2018. GDPR will replace the current Data Protection Act (1998) in the UK and applies to ‘personal data'. Our experts have previously discussed what exactly fatbergs are, and what we can do as a society to improve our drainage systems. If you missed the news post, fatbergs are essentially a built-up combination of non-biodegradable products. Health and cleanliness education should be important for every commercial kitchen that exists, it’s even included in all chef and waiter training programs and qualifications. Which FiltaGMG product would be best for my commercial kitchen? Do you feel your commercial kitchen would benefit from Filta’s Grease Management product range? Our experts discuss each grease management product that’s in our high-quality collection. How could replacing my commercial fridge seal save money? There are a few telltale signs when a commercial fridge seal is broken or needs replacing. If you have noticed any of these signs then your commercial kitchen would reap the benefits from a new fridge seal! Why should a commercial kitchen protect itself from FOG? Fats, oils and grease (FOG) are potentially very dangerous towards the environment and for the integrity of your business. The mixture of these three products mixed with food can block any drainage system or sewer if disposed of incorrectly. What are the risks a damaged fridge seal could bring? To some, a damaged fridge seal in a commercial fridge or freezer can seem a small issue, when in reality it can cause multiple problems and halts your business. Does my commercial fridge door seal need replacing? What is a fridge door seal, why is it important and how do you know when it's time for a replacement? We’re going to The Professional Kitchen Show! Filta Environmental will be apart of the prestigious ‘The Professional Kitchen Show’ that is held by Hotelympia in Excel London, between the 5th and 8th of March 2018. What are the benefits of using FiltaGMG? The key to an efficient commercial kitchen without disruption is FiltaGMG, we can guarantee a complete expert diagnosis and extraction if your kitchen is struggling with FOG waste. How much of a problem is FOG for commercial kitchens? Fats, oils and grease (FOG) is increasingly becoming a big problem for commercial kitchens and can lead to costly blockages and heavy fines. Replacement fridge door seals: Why choose FiltaSeal? 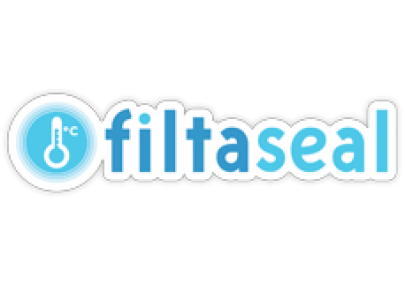 FiltaSeal is an innovative service that provides on-site supply and fitting for any commercial replacement fridge and freezer door seals, by our expert fitters. Nobody wants to potentially lose hundreds of pounds worth of stock, so you should look for a commercial fridge that is efficient and reliable to correspond with your business requirements. 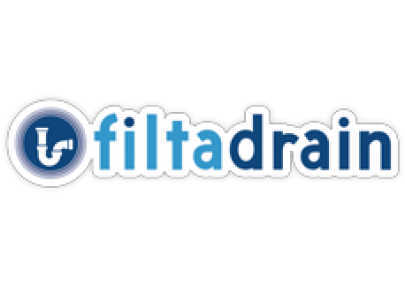 The Filta Group have today announced Alastair Anderson as National Sales Manager. Anderson has over 18 years of business development and sales experience within the hospitality and catering industry. Does your commercial kitchen fridge need upgrading this Christmas? Filta Environmental are the leading providers for the commercial sector as the products we provide are affordable and made with high-quality materials. Filta Environmental offers beneficial kitchen products for commercial refrigeration, ventilation, cold rooms, and cooling systems that together provide the ultimate resources for your kitchen to run efficiently. When it comes to running a successful commercial restaurant or catering company, having a visually appealing and practical kitchen space is essential. A growing number of commercial kitchen operators and food service providers are opting to install grease traps on their premises following a rise in enforcement notices by water companies. Fatbergs: What Are They? How Can They Be Prevented?